Nutrition fact- Always include some protein and fats when eating carbohydrates! This method helps to regulate blood sugar and will keep you full for longer. Sweet, salty, nutty, tasty… Couldn’t be more delicious! 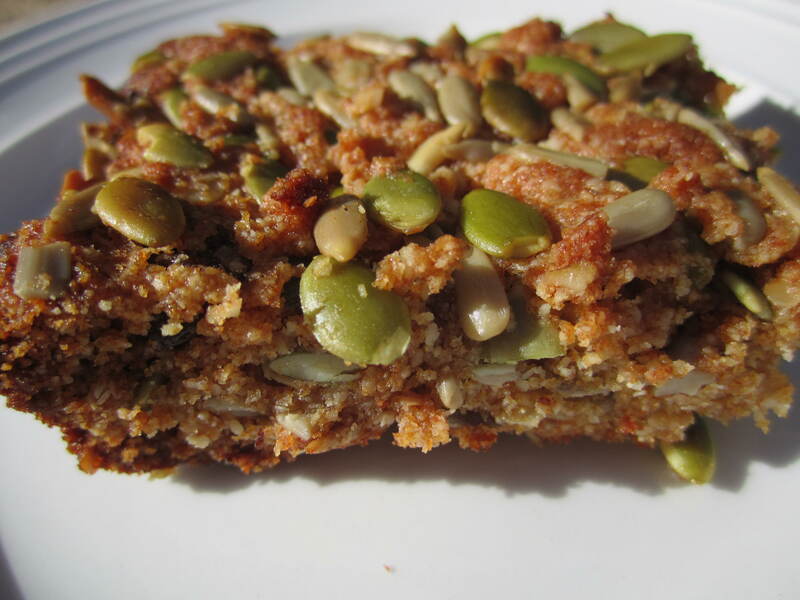 These bars also happen to be gluten-free, egg-free and dairy free. Oh Joy! Mix almond flour, baking soda, sea salt and oats together in a bowl. Oil an 8×8 inch baking dish with tea seed oil. Bake form 20 minutes. Let cool.